Let Northwest Scuba help you turn your love of diving into a career! 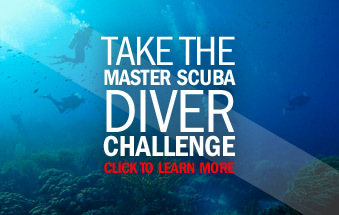 Become a PADI Open Water Scuba Instructor! By becoming a PADI Instructor you can; do something you love every day, share your enthusiasm of diving with other people, live in the tropics and travel to exotic countries! Why take your PADI Instructor Training at Northwest Scuba? Northwest Scuba is one of only a few PADI 5 star IDC training facility in Western Canada and is the only facility in the Edmonton and Northern Alberta, owned and operated by a PADI Course Director (Instructor Trainer). PADI Course Directors are instructor trainers who conduct PADI Instructor Development Courses and other instructor-level training. PADI Course Directors hold the highest and most respected professional rating in recreational scuba diving. They are among the dive industry’s most influential opinion leaders and role models. Those who join this elite group of professionals pass through a stringent screening process that examines their experience and training. This means you can expect nothing but the best from Northwest Scuba and Ken Holliday. Having an experienced full-time PADI Course Director at Northwest Scuba allows us to offer the most extensive course that is flexible and set up for each candidate. If you need more time on the learning material Ken is here to help you through it. If it is in the preparation of scenarios or skills in class or pool settings he is always here to help. Ken Holliday is well known for his teaching, he uses his 26 + years of experience, to show you how to apply everything you will learn. At the same time he will give you some life experiences, scenarios, humour and professionalism to your learning. Having an experienced full-time PADI Course Director at Northwest Scuba allows us to offer the most comprehensive Instructor programs available anywhere. Diving logbook with 60 logged dives and 6 months as a certified diver for the IDC. 100 logged dives for attendance at the IE. Register for The Online PADI Open Water Instructor (IDC) Here! All Knowledge Reviews from the Independent Study Section of the PADI IDC Candidate Workbook must be completed prior to the start of the AI/IDC program.